The Tea Leaf Theory is an association of organic small tea growers in tea growing regions across north-east India. One the one side, these include well-established names such as Darjeeling and Assam. On the other side, featuring cultivation and wild tea projects in places such as Manipur and Arunachal, the initiative virtually breaks new ground. In order to ensure an equally high quality level across the portfolio, all individual producers under the project’s umbrella have to adhere to strict process guidelines. Among these, their ambitious principles of organic close-to-nature cultivation, fair prices to producers and fair wages to workers are fundamental pillars of The Tea Leaf Theory’s unique approach. When founder Upamanyu Borkakoty first approached me with his idea, I was instantly just about as curious as I was sceptical. Curious, of course, about the teas this idea would yield. And sceptical… I guess you’re always well advised being sceptical towards a marketing expert’s bold words of advertising. Well, to make this short, all The Leaf Theory had to do to convince me of their genuineness was to send me some of their samples. In fact, the very first sip of Assam Latumoni tea garden’s Royal Tippy Black Tea left no doubt with me that this guy wasn’t just talking… Meanwhile, Sailen Phukam’s Latumoni tea garden in Assam has a fix place in Siam Tea Shop, and there certainly are plans to offer more of the The Tea Leaf Theory’s teas there. Well, it was way back in 2013 when I used to work for the corporates as a Brand Manager since graduating in commerce from New Delhi and having accomplished my master in marketing. I pretty much enjoyed my work and I was very much happy enjoying a cushy job, but always had the desire to return back to my homeland Assam and work for its people. I have always believed that living a life just to fulfil one’s own desire is not worth enjoying, and I was fortunate enough to have received a good education only because my parents had made a great effort saving the money needed for such. The initial spark to give my life a new direction was rather a coincident. Of possibly fate, or karma… In 2014, during my annual vacation to my home town – Sivasagar in Assam – I came across a small farmer in a grocery store who was trying to sell his organically grown handcrafted green tea. Even though I was born and brought up in Sivasagar in Upper Assam, we never had access to the tea gardens and factories, as this was considered to be reserved to people with royal lifestyles. In fact, I never knew tea can be hand processed and look so appealing. I went to meet the farmer to understand what tea is all about. This is where I got to know the hardship small tea growers were going through to produce these high-quality teas. When the organic revolution amongst the small farmers started way back in 2007-2009, they only learned to make green teas, which were bitter in taste. Still, they were able to create a small market for the product, as this seemed to be very easy to produce. Just pluck, steam, roll and dry. 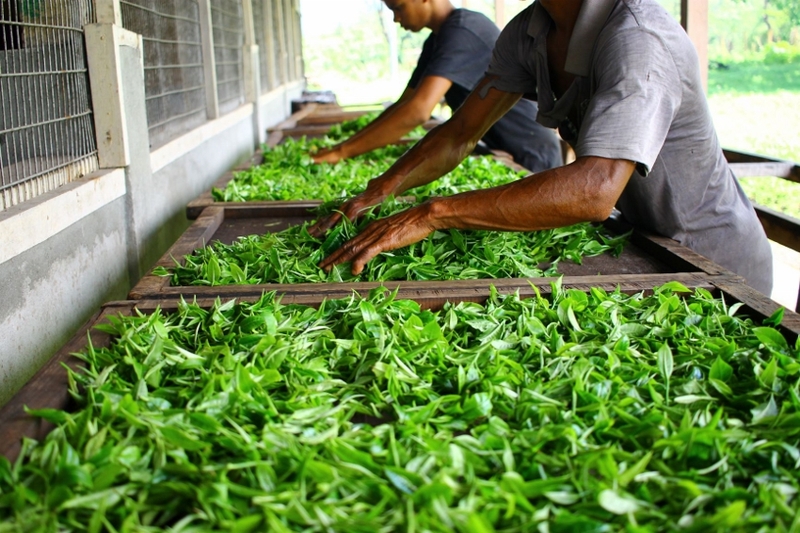 However, the production technique was also the only reason for these green teas getting bitter. When local doctors started prescribing green tea to diabetic patients, its consumption started to increase. In parallel, the number of small tea growers also increased considerably. However, they never learnt how to make black teas because they were not allowed to enter the factories of the large estates. Even the TRA (Tea Research Association) never supported them a decade back. Also, there was no market for high quality handcrafted black teas, because domestic consumers were used to cheap quality CTC teas, while expensive black teas hardly had a place in their kitchen cabinets. Plus, of course, the doctors did not prescribe black tea… That’s when I decided to find relevant contacts and learn as much as possible during my vacation. TRA’s tea taster Mr Ramen Gogoi helped me as much as he could on a personal level, as TRA was supposed to work only for member tea companies. He introduced me to tea tasting and I was fascinated with the wide knowledge he had. As a matter of fact, even my maternal uncle was a tea taster. However, he quit his job in 1997 in order to start an NGO for differently-abled, the “Atma Nirbhar – Ek Challenge”, meaning “Self Reliance – A Challenge”. Unfortunately, in 2013, he died in an accident before I could learn anything from him about tea. I also became one of the managing committee members of the NGO after his death. Even though I was living in New Delhi, with god’s grace we have been able to successfully run the NGO supporting 45 beneficiaries. I was looking for natural and sustainable farms, run by farmers with a entrepreneurial spirit going beyond becoming just another green tea producer. Of course, I could have started another NGO, dedicated to selling high-quality leaves of small tea growers. However, I believed in the concept of making our farmers entrepreneurs instead of mere beneficiaries. I knew, it was going to take at least 3-4 years to lay the fundaments for producing high-quality teas. Also, obviously, there would be external pressure as the large estates would come to envy us. Up to this point, all our farmers made their living through selling only the green leaves to large estates. Of course, at a price determined by the latter. This system had started way back in the mid-90s. Later,by mid-2000, the prices started to fall as the number of growers increased exponentially. Later, during one of my official visits to Shanghai, I took time to visit the tea market and was fascinated by the wide range of expensive teas that were on offer from different regions. This was when I made up my mind to do something and create another set of entrepreneurs. I quit my job in Dec 2014, giving up on the comfortable lifestyle with just enough savings to manage to live for another 2 years. Of course, at Sivasagar, which is a small town, where expenditures are minimal. 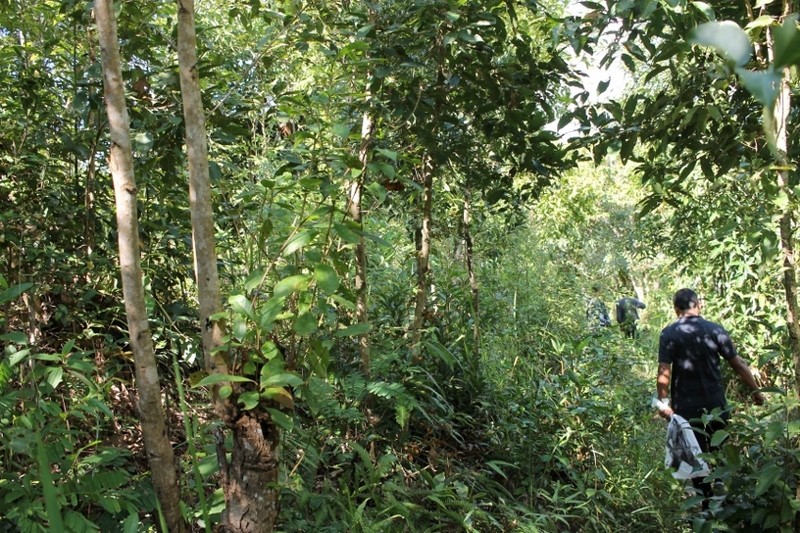 With limited investment and by use of indigenous technologies we started our first experimental station. With the help of Mr. Rebo Gogi, we set up setup a microprocessing unit at his farm in Koliapani, Assam. There, we started researching on different tea production styles, later moving to Darjeeling, Sikkim, Meghalaya and Arunachal as well. We were only looking for small tea growers who had the passion to experiment and ability to guard the production secrets, were honest in their approach and not educated enough to market their product. Because we found that the educated individuals are more concerned in marketing the teas rather than learning what tea is. Ever since, we’ve been through ups and downs. Often enough, we had to de-associate with farmers for not following our standard operations procedures and adhering to our prescribed production training to make things easy and effortless. We had to be strict with our policies, else the change would not have been possible. So currently we have 5 small tea grower partners in Assam and only one in Darjeeling (we de-associated with 4 growers there). 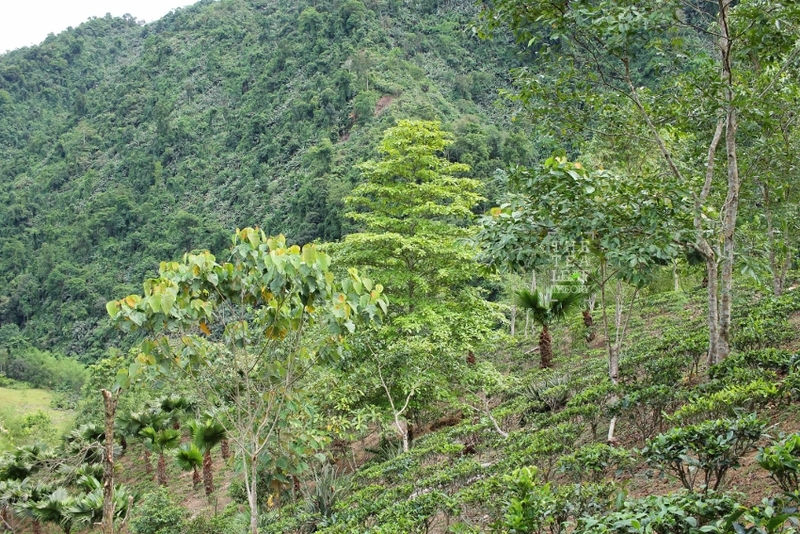 Further, we work with one grower in the extreme interiors of Arunachal, with a second collaboration there on its way. In addition, we’re currently setting a course taking up talks with small tea growers in Manipur and Nagaland. Our market is small and we had to create it for us. We never received any support from neither Tea Board nor from any Tea Borking company. We did not make any profit until 2017; only in 2018, we made some and that went into the renovation of the micro-units. It is still a struggle to sustain and I drained out all my savings way back in 2017. Still, with support from some well-wisher buyers, we have been able to sustain the business with limited sales. Meanwhile, we are connected to more than 40 farmers across regions. However, we could make use of them only once we have a market for our product. We keep strict control over the production, and each and every batch undergoes close scrutiny – and tasting – before receiving approval for being passed on to our buyers. 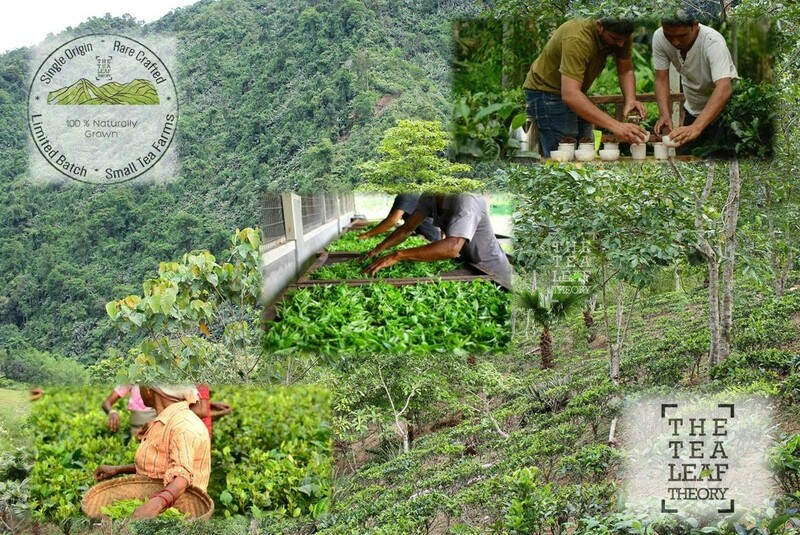 We do not have an organic certification, just because we cannot afford the certification body’s fees. In fact, though, our cultivation techniques are even above their standards, such certification is not at all viable for us. We are currently making plans to start our own form of FairTrade, without having to pay an outside agency, just to help my own people. The main focus of this is to support our farmer’s kid’s education. After all, we are still not an NGO, but only a small tea growers business initiative. All our microprocessing units are handcrafted, and so far, we do not even have a tea rolling table. Nevertheless, we pay the better wages to our workers than any of the nearby large tea gardens. And, of course, our goal is to make some profit in 2019 to take it to the next level and to become a case study for the rest of the farmers to believe in their dreams.